Thanks so much for your letter. I’m sorry it’s taken me this long to reply. Your brother Yun Leong tells me you are amazingly strong. That you’re prepared to accept whatever happens next. That you want to live, want so much to live, but are ready to face death. I saw what he meant in court on Friday. The serenity on your face. The way you even managed a smile and a wave for your siblings after the awful, awful verdict. I know you’ve been studying hard. Trying to learn English, quizzing your lawyer about various legal concepts in order to fully understand your own case. So midway through the proceedings on Friday, you must have realised – as did the rest of us in the gallery – that the judges were not going to rule in your favour. They didn’t think our constitution protected us from “inhuman” punishment. Nor did they agree with your lawyer that it should embrace customary international law, which rejects the mandatory death penalty. In fact, despite the vast amount of cases and research presented by your lawyer, they felt there was no customary international law against the mandatory death penalty. I could feel myself shaking my head over and over again, my hand, trembling as I took down the Chief Justice’s words. What was going through your mind then? It is now three days after the verdict. Did you spend the weekend trying to make sense of the judges’ logic? Or are you at peace? Calm, as your family said you would be. They say you’ve learnt to let go of fear and anger. I know it’s been really hard on your siblings. Yun Leong has literally shrunk over the past six months. There are dark circles under his eyes. He is exhausted most of the time. Yet he continues to see you on his one rest day each week. I know he goes without fail, and I know talking to you makes him feel better. He has been a real rock, your brother – dealing with questions from your relatives, the pesky media, your family’s pain… trying to hide the truth from your mother. I didn’t know what to say. How was it possible to make her feel better? No amount of logic, or talk of the Constitution, could justify the court’s verdict to her. It was all legal goobledygook. All she knew was that the judges had agreed that it was right for the state to murder you. YOU. Her lovely brother. And then, she surprised me. Just before calling it a night, she told me she would try to be strong – that in the end, everyone would be answerable to god. You, for your deeds, the people who sanction your murder, for theirs. I do not believe in god, but perhaps some of the judges do. What answers will they give? In your letter, you thanked me and all the other people who’ve rallied around your family for our unconditional support. I can’t speak for the others, but as much as I like being thought of as selfless, I have to admit I was initially drawn to your case for personal reasons. I do not have children. But I have a young nephew and niece whom I love dearly. And I do not want them to grow up in a place where ‘inhuman’ punishment is seen as constitutional; where drug mules are hanged and drug lords get the red-carpet treatment. Above all, I cannot bear the thought of your blood on my hands. What purpose will it serve us to kill you? 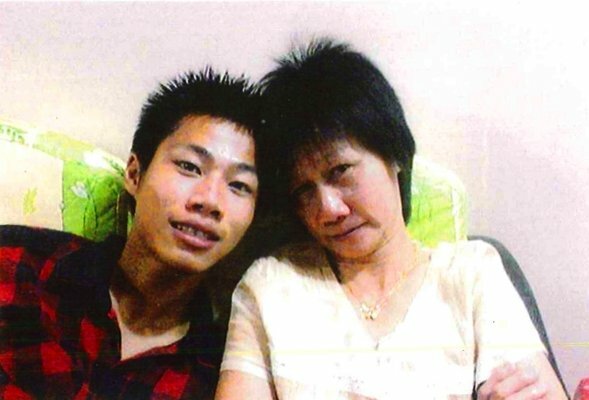 Vui Kong, following your case has been the hardest, most heartbreaking thing many of us have ever done. We are all emotionally spent. Exhausted. I cannot imagine how Yun Leong and Vui Fung must feel. Today, someone asked me if it might have been kinder to persuade your family to give up the fight back in December. To let the state hang you and spare your loved ones the agony of waiting and hoping. I think the person failed to fully comprehend the depth of your siblings’ love for you. I know that the waiting is tough, the uncertainty, nerve-wracking. But I know they will cling on to whatever hope they can find. I know how much they appreciate each extra moment they have with you. Yun Leong said as much on Friday. You might be a lowly mule, a statistic to those who want you dead in order to prove a point. But you are also Vui Fung’s lovely brother, Yun Leong’s inspiration, your mother’s favourite son. And they all want you to live. Their pain must be excruciating. The state wants to murder you. And there is so little they can do. Your life now lies in the hands of our President. He is not known for his compassion – has apparently never granted clemency to anyone. But we continue to cling on to hope. Perhaps, he will grow a heart and surprise us all. In December, when it felt as if all was lost, Vui Fung went out and bought you some new clothes – a crisp white shirt, some fashionable checked pants. She’d taken pains to pick stuff she thought you would like. These were meant for the state-sponsored photo-taking session before your execution, and after that… your funeral. She showed them to us when she came for your hearing in March. It felt a little surreal, watching her as she carefully unfolded the clothes. We hope so too. We really do.